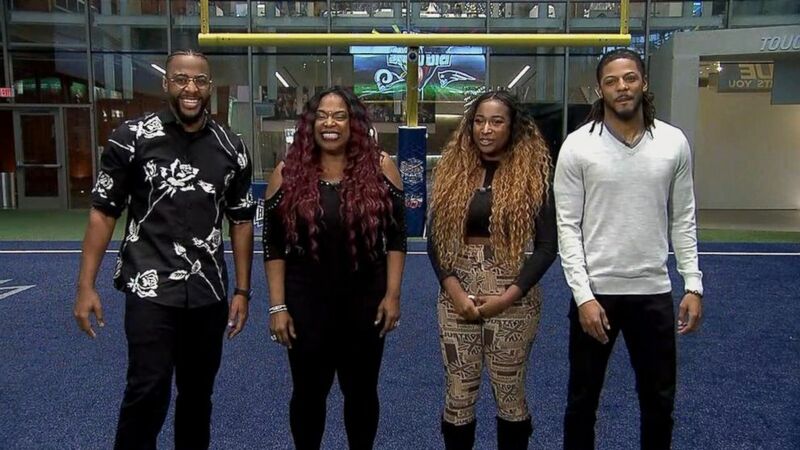 Carmen Carter was joined by her children and nephew on the Super Bowl stage. 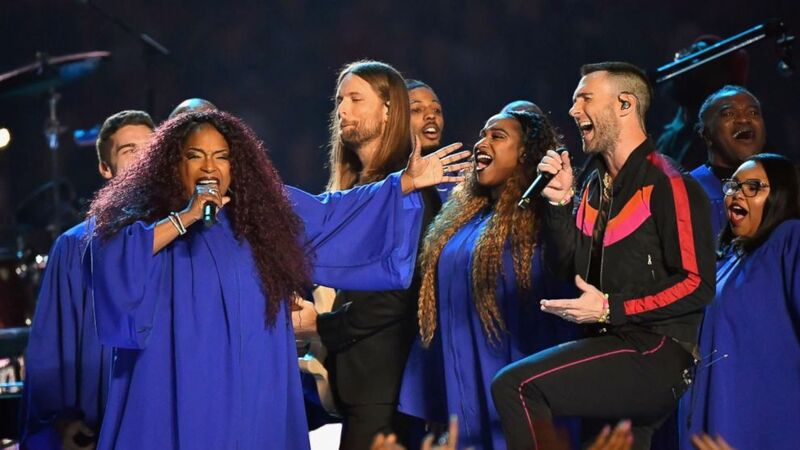 Maroon 5 was the headliner of this year's Super Bowl halftime show but the scene-stealer was gospel singer Carmen Carter. Carter, backed by a choir that included her son, daughter and nephew, joined Maroon 5's Adam Levine as he sang "Girls Like You." Watch the exciting new clips! This year's performance at the big game has courted controversy for months. New England won its sixth title. "Of course I was overwhelmed and overjoyed," Carter said Monday on "Good Morning America." "To be able to bring my children because we’re really family-oriented, it was a chance of a lifetime." (Jeff Kravitz/FilmMagic via Getty Images) James Valentine and Adam Levine, right, of Maroon 5 perform during the Pepsi Super Bowl LIII Halftime Show at Mercedes-Benz Stadium, Feb. 3, 2019, in Atlanta. As soon as Carter began hitting her notes inside Atlanta's Mercedes-Benz Stadium Sunday night, people on social media said she could have carried the entire halftime show by herself. The California-based Carter revealed that she landed the Super Bowl halftime gig when a friend invited her to put a demo together for Maroon 5. (ABC News) Carmen Carter, second from left, speaks out with her children and nephew about their Super Bowl halftime performance. Though the band has faced criticisms for its halftime performance, including the use of a gospel choir, Carter thanked Levine for the opportunity, calling him an "awesome man." "I wouldn’t be here if it were not for him being gracious enough to share the stage with me," said Carter, who is no stranger to Hollywood, having sung on "Dancing With the Stars" for the past 10 years. Adam Levine and the crew put it down last night! Great session! Thank you Eric Dawkins, Brandon Winbush, Chris Londo, Oren Waters, Lori Perry, Raffia Thomas, Sierra Watson. You guys were FANTASTIC!??????? ?